The first Holiday season wave has gone with the Black Friday and the Thanksgiving weekends and it seems that retailers took a wait-and-see position. The experts and industry influencers discuss Black Friday and the surprises it has brought. In this week’s digest, we have gathered all interesting opinions and conclusions to share with you. Business journalist Barbara Thau has shared seven the most important facts and conclusions after Black Friday. Store traffic declines stabilize over Black Friday weekend. Mobile purchases set a new holiday record, generating 47.4% of site visits (39.9% smartphones, 7.6% tablets) and chalking up 33.1% of online revenue (24.1% smartphones, 9.0% tablets), according to Adobe data. The number of e-commerce holiday purchases has actually increased. WalMart, Nike, and Best Buy appeared to be the big winners in terms of traffic over Black Friday weekend, according to Fung Global Retail & Technology. Amazon and WalMart boosted their combined online market share by 1.5%, according to SimilarWeb. Meanwhile, Target, J.C. Penney, and Sears all lost 0.5% of market share. The top 5 purchased items on Amazon were Echo Dot 2nd Generation; the Fire TV Stick with Alexa Voice Remote; the TP-Link Smart Plug; the Instant Pot 7-in-1 Pressure Cooker; and the 23andMe Personal Genetic Service. This holiday season is likely to be the season for smaller brands. Retail Dive exposed the unexpected conclusions dividing all the cases, facts and practice into two big groups: losers and winners of Black Friday. This holiday season mobile sales have beaten all the records, Amazon set 55% of e-commerce, and Best Buy made the most successful advertising campaign among 15 brands. Meanwhile, in-store traffic didn`t meet the expectations and dropped by combined 1.6% over the last year. Weak websites also faced problems with handling the holiday traffic. Macy’s, Lowe’s, and U.K.-based retailers the Perfume Shop and Game were affected by technical glitches that slowed purchasing activity and transaction processing on Black Friday. Retail Dive made their takeaways from the Cyber Monday. As we can see, mobile sales fell down making up about 43% of visits. Consumers expecting better service and free shipping doesn’t surprise them anymore. 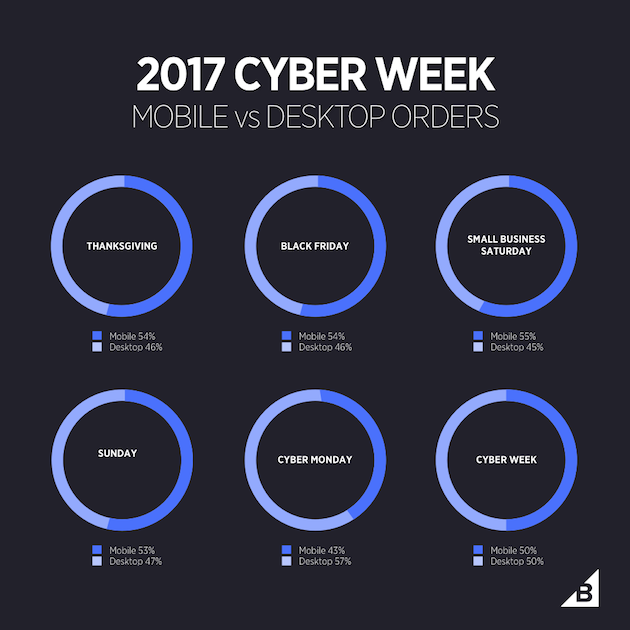 But one of the important conclusion is that Cyber Monday turned into Cyber Week. Read the article to know why. Doug Stephens’ new podcast, Retail Prophet, kicked off this week with an analysis of Amazon: “Amazon is not a retailer at all. They’re data, technology, logistics, service, innovation, and media company that uses each of these competencies to weave a sticky web of conglomerate platforms.” This is omnipresence, says Stephens. And it’s the future of retail. Listen to the podcast at the link above. Several recent Walmart technology developments, including virtual reality-based training for store associates, shelf-scanning robots, and grocery pick-up, are expected to play a significant role for the retailer this holiday season, according to the Jacksonville Business Journal. Virtual reality technology from a start-up called Strive already was being used by the retailer in recent weeks to help Walmart employees prepare Black Friday by showing them virtual scenes of throngs of customers entering their stores and requiring assistance, according to MIT Technology Review. The report comes a month after Walmart said it was expanding its use of robots in more stores to scan shelves in hope of optimizing inventory management processes that usually have been performed on a manual basis by human employees. Williams-Sonoma has announced the launch of the iOS version of Pottery Barn’s augmented reality app, 3D Room View, which allows users to virtually place life-sized, three-dimensional Pottery Barn products in a room, save and share room designs, and connect through the app to shop, according to a Williams-Sonoma press release. 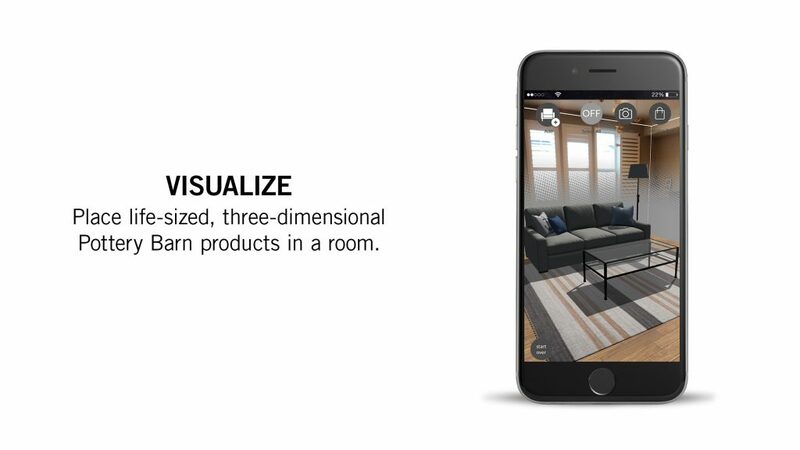 The launch of the iOS app comes about eight months after the launch of Pottery Barn’s 3D Room View for Android mobile devices supporting Google’s Tango augmented reality technology. “Mobile self-checkout — i.e., giving customers the ability to scan as they shop and pay with their personal mobile devices — makes the checkout process much easier for both customers and associates because it cuts down on upsell interactions and waits times. Read more details in the article. Myth No.1: AI is the solution. AI is an enabling technology. It’s not a solution that can just be downloaded or installed and do the job at hand. We’re not yet at a stage where AI thinks freely for itself; we’re at a stage where it can analyze complex data sets and identify business problems. Myth No.2: AI is a premature platform which doesn’t fit in your business. Brands both small and large that refrain from adopting these technologies are exposing themselves to potentially losing loyal customers. Studies yield by 2020 that 57 percent of consumers will depend on companies to anticipate their needs through personalization, and if they don’t, they’ll have no problem switching brands. Marketing and creative careers which require artistic expertise will always have a place in business. AI simply unlocks the full potential of marketers, giving them the ability to spend more time on creating content and campaigns that get delivered to their audiences. There is a great article where the different examples of using IoT in the store are gathered together. 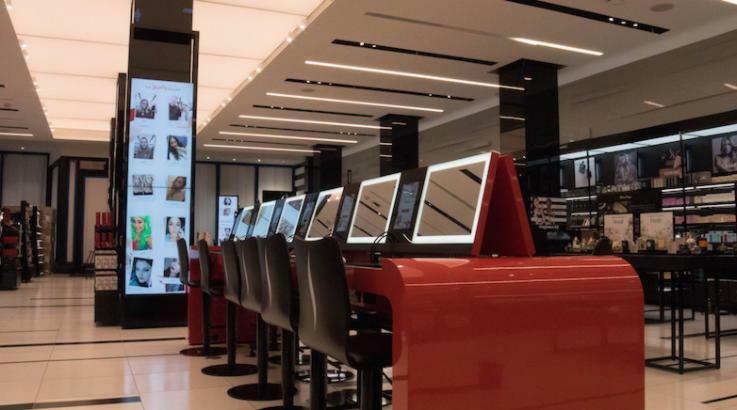 It’s really inspiring how technologies can change the reality, customer experience and the definition of retail. IoT is the technology that connects a customer’s mobile with a store’s shelves, a sales assistant’s tablet to an e-commerce site, an RFID clothing label to a smart changing room. Most executives talk about improving the customer experience—even of creating the quintessential customer experience—but too few walk the talk when it comes to developing and implementing strategies, policies, and training initiatives that can truly make a difference. Some exceptional firms are going all-out and competition dictates others will either catch up or fade away. Review these 2018 Customer Experience Trends for what’s fresh, viable, and essential to staying in the game. In the article, you’ll find infographic from the CUBE what takes you through some interesting insights into what marketers can do to capture their attention. 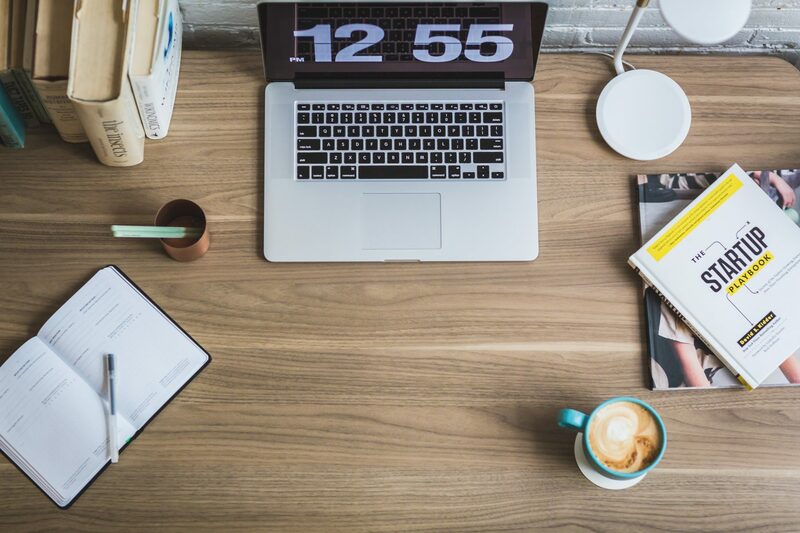 The first thing to keep in mind is that 84 percent of millennials don’t trust traditional advertising and seem to be suspicious of its intent. Millennials seem to be more focused on desirable experiences over buying something that’s desirable, and they love to support local companies. Have a read through the infographic to know what you can do to engage Millennials. Winter is here, the holiday season has just begun and it’s not the time to relax. Have a nice weekend. See you next week!